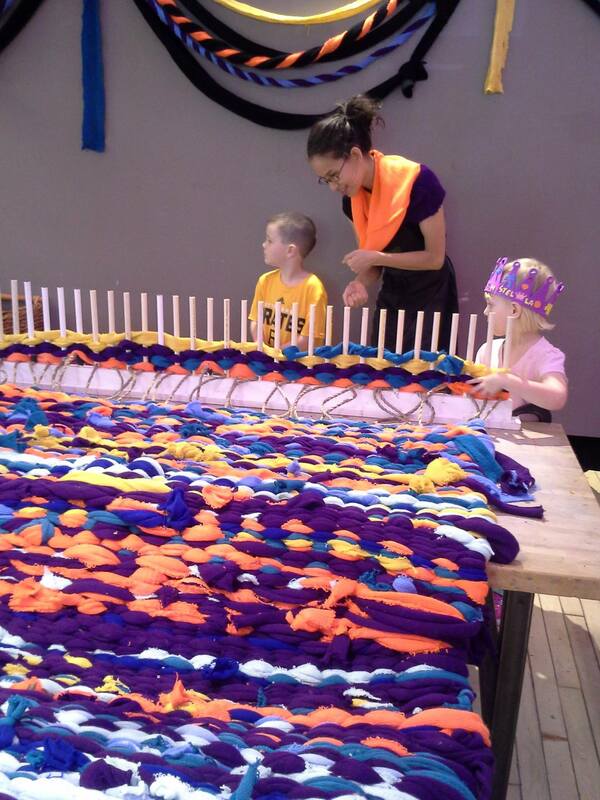 Yes, it’s hard to believe, but it’s been an entire year since the installation of Knit the Bridge on that warm and sunny weekend 365 days ago. So much has happened and yet the pace of the past year has been remarkably slow compared to the 18 months leading up to the fabulous creative collaboration of 2,000 individuals (go team!). 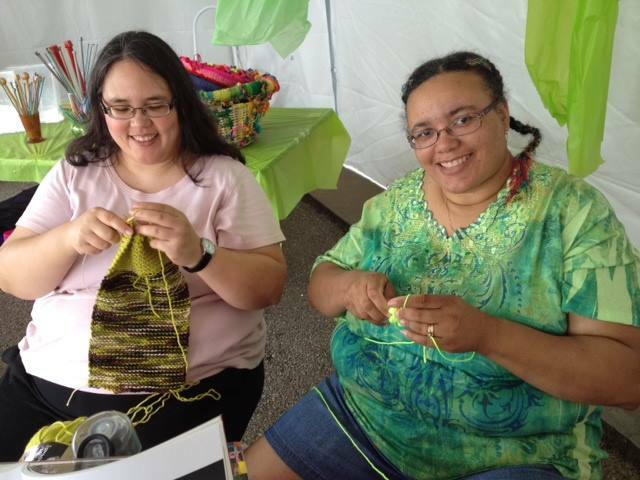 On April 29 the Pennsylvania Council for the Arts recognized the Fiberarts Guild of Pittsburgh as one of “Best of the Best” Pennsylvania Partners in the Arts Projects for Fiberart International 2013 and Knit the Bridge. The initiative recognizes the artist and community accomplishments of outstanding arts projects, events and activities developed in local and community settings. We were nominated by Greater Pittsburgh Arts Council and were one of four projects chosen from among hundreds of nominations statewide. 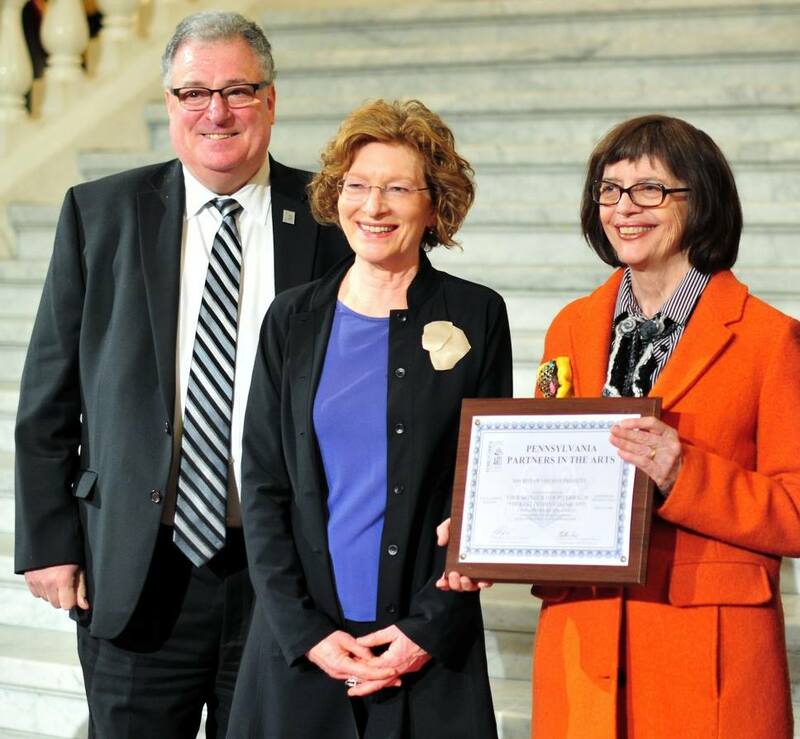 Pictured are Philip Horn, Executive Director of the Pennsylvania Council on the Arts Jay FI 2013 Director and Susan FGP President of the Board. What an amazing year!!!!! 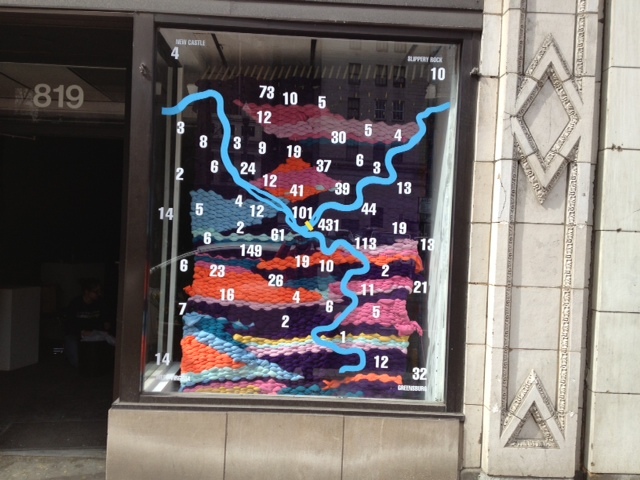 Peg Loom at the Children’s Museum with machine knit material that once adorned Pittsburgh’s 7th Street/Warhol Bridge. 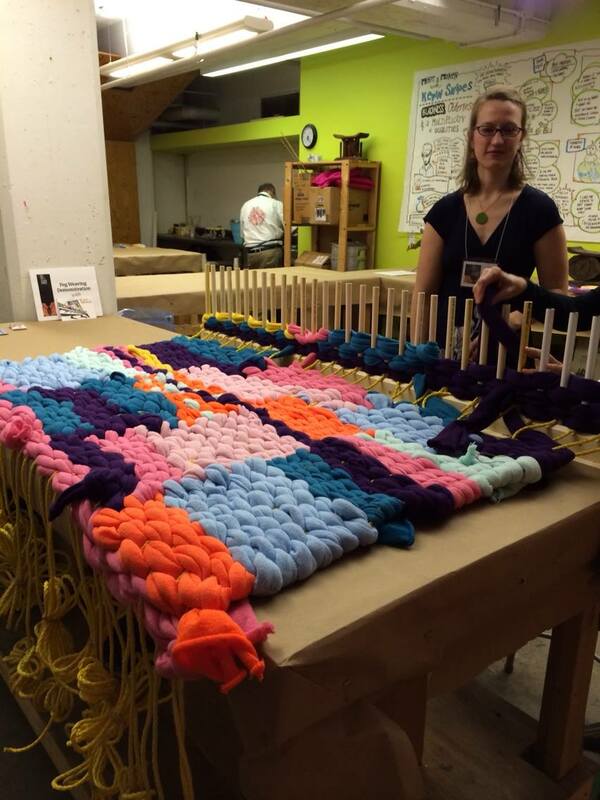 Amanda a Contemporary Craft having fun with the peg loom. 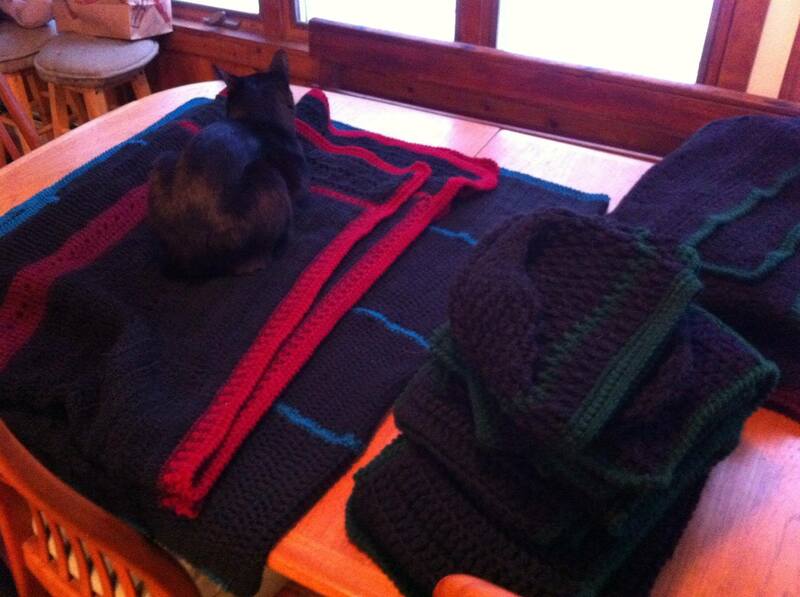 What to do with all this machine knit goodness? Why not cut it into strips and weave it back together? Enter, KtB Tower Technical Advisor and self-proclaimed “Art Enabler” Norman Beck who built us this fantastic peg loom, seen here at Contemporary Craft, The Children’s Museum, and Future Tenant. Remember last year? 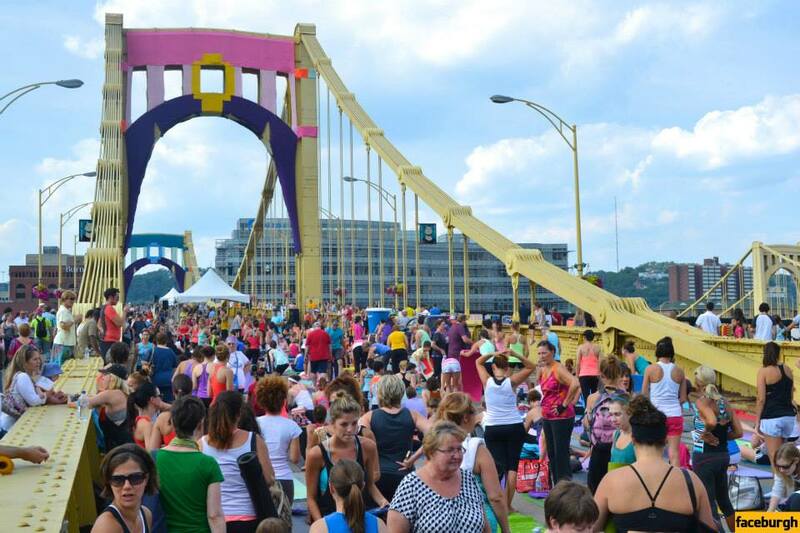 Three Rivers Arts Festival 2013 proved a crucial meeting and making spot for KtB. 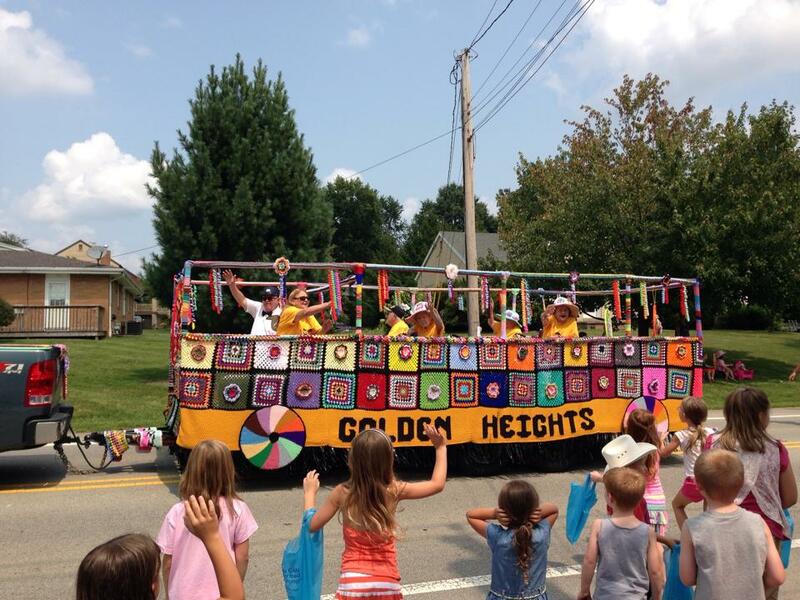 This year Judy Manion (who happened to learn about KtB through last years Festival) decided to continue the tradition. 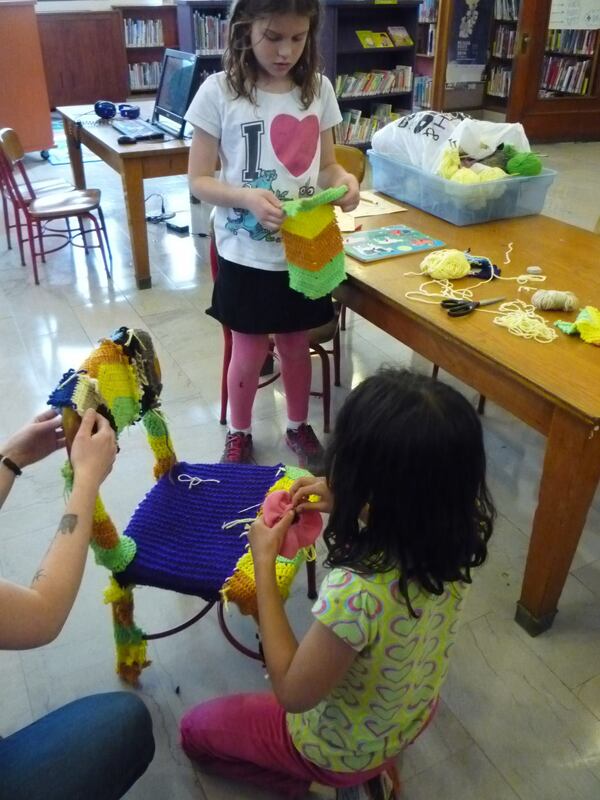 2014’s Creativity Zone saw lots of railings again – this time being transformed into blankets, scarves, and other accessories. Thanks to these KtBers for dropping by to continue stitching with us! Judy M takes the cake with these beautiful re-purposed railings. Want to try? We have railings for you too! 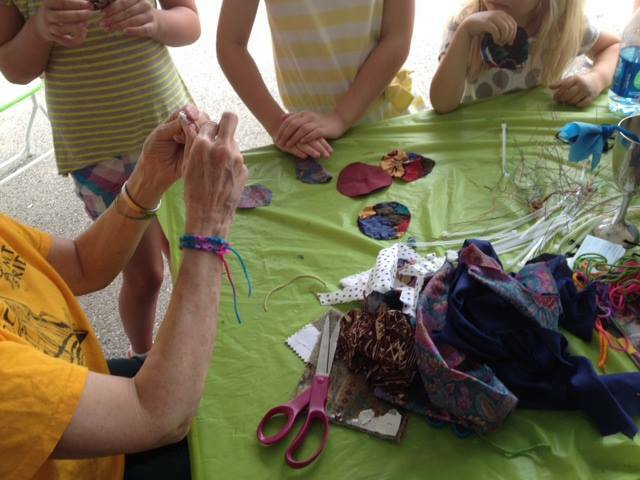 KtBer turned FGP President, Susan Swarthout was inspired to take craftivism to her local library branch and with young readers’ help, transformed the library! Prize Winning Float created by one of KtB’s eldest and wisest stitchers. Congrats Veronica Matanin!